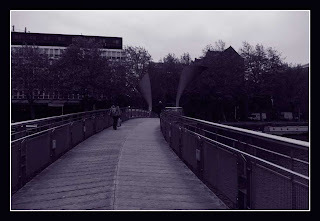 These are edited versions of a photo I took of Pero's Bridge in Bristol. 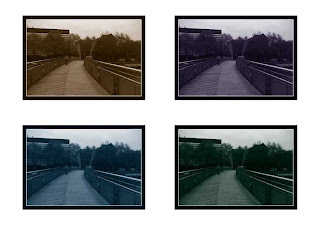 I first, changed its mode to Greyscale and then adjusted the Duotone. Duotone - Black and Purple. Duotone - Black and Green. 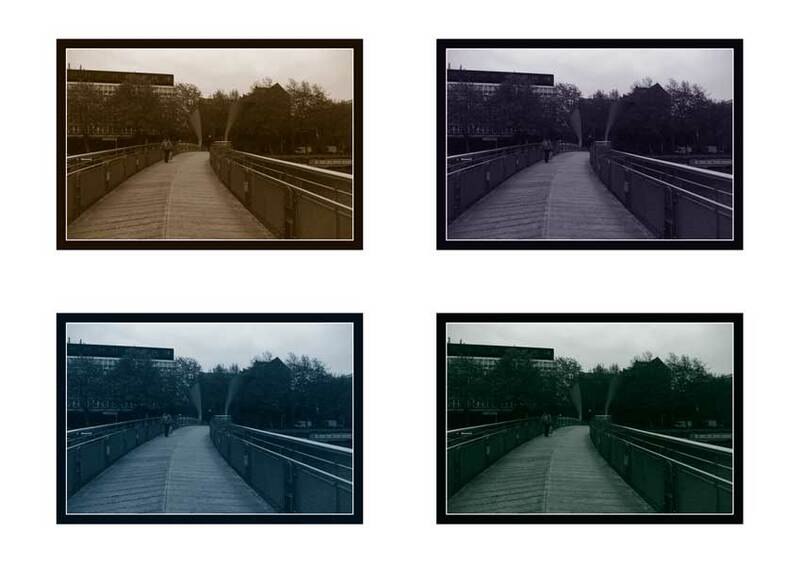 Before placing them on the A3 white, I gave each photo a border by firstly adding a white canvas size of 1mm and then adding a black canvas size of 1 cm.